Hetty’s been gone for months with no word about where she went or why on tonight’s all-new episode, but Eric suddenly remembered that Hetty had given him something that might be important. Hetty had talked to Eric after Michelle died about his role on the team. She said she appreciated all that he did to help the others and that she knows he doesn’t always get the recognition he deserved. But what had been odd about the converse. But what Hetty did next was what stuck with Eric. Eric had been given a book about the Civil War and, while Hetty had been around, he hadn’t thought much of it because he thought the book had merely been a nice gesture. So it wasn’t until later that he wondered if the book might have held clues as to where she went and so he tried cracking whatever code she must have hidden inside. Eric read the book, he looked for keywords or names and had even run a black light over it see if Hetty hid anything in the writing. But he found nothing. Eric combed through the book and couldn’t find a single thing that proved it was anything more than a book yet Eric ended up calling Nell afterward because he was sure there was something there and had wondered if she could find it even if he couldn’t. So Nell had questioned why Eric had waited to tell her about this book only to remember she had also gotten a gift. Hetty had given her flashlight that glowed red and so Nell pointed the flashlight on the book to see if there was anything she could find and she did. Nell spotted three words that had been circled in the book and it seems she had been given the flashlight just to encode the book. But neither Nell nor Eric knew what Failed, Action and Skin meant. Those were the three words circled in the book and so they must hold some kind of importance, but they knew that they needed the rest of the team’s help to get anywhere with the clues and so they called Callen. Callen hadn’t been given a trinket and so he wanted to know why Nell and Eric got one while he didn’t. So Eric joked around that maybe they had been given clues because they were the only ones smart enough to crack them. But technically that stopped being true once they found the three words. They had no idea what they meant and neither did Callen, however, the more people they brought onboard the more it helped. So Hidoko proved to be the one person to hack the code. She said everywhere in the world had been given a coded language to act as a map and so she helped the techies to decipher what Failed, Action, and Skin meant on a map. It pinpointed a city in Vietnam and so the finally found out where Hetty was. They just didn’t know how she got there or what they could say to Mosley to get her off their breaks. Mosley had come into work with half her team gone and that had deeply upset her because she wasn’t their friend, she was their boss. They couldn’t take off whenever they like and then leave Hidoko to explain they were off on a mission without her say so. She was the one that was supposed to give them orders and, as time went by without anyone informing her on what’s really going on, she finally lost her temper. She called them all in and shouted at them for their cavalier attitude as well as Callen’s blatant disrespect. And while she may have been disappointed in all of them, she still did her best to help. Mosley called SecNav to okay a trip for her team to Vietnam and she made their secret trip into something that was actually doable. But Mosley also questioned on a lot of things. 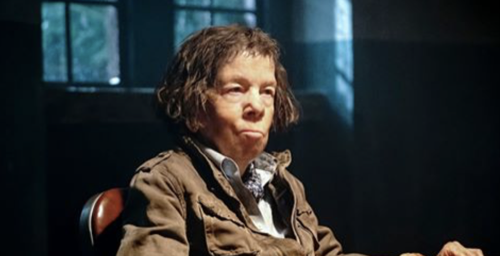 She asked if they confirmed Hetty was in Vietnam because none of Hetty’s alias registered entering the country and it turns out Hetty had paid off a smuggler to help sneak her in. So the team revealed everything they learned. They know that Hetty was in Vietnam along with the remaining members of her old CIA unit and then they showed her the old photo from the war that had the entire unit pictured, but she asked them who took the picture and why did Hetty go there. Mosley didn’t want them rushing into danger on so little though she wanted them to be smart about what they were looking for and who could help. So she forced them into thinking things through and that made them realize why Hetty left. She had cashed out her entire portfolio which was a lot and that could only mean she needed the money for something. It couldn’t be for her illegal boat ride or for weapons because Hetty wouldn’t need that much money. But the one thing that would cause her to cash out everything was a ransom. The team realized Hetty was paying a ransom and they didn’t know for whom. They later went out to find anyone that was still in the country that could remember Hetty’s time in Vietnam and they found someone that used to help her team. He was more or less a civilian that helped them and he said it was the “kid” that took the photo. The “kid” was a young man that was green around the ears and he followed Hetty around like a puppy however disaster struck and the “kid” supposedly died in a helicopter crash that Hetty manage to just barely survive. So Callen and Sam boarded a plane to Vietnam to rescue Hetty because they now believe she got into some trouble looking for the “kid”.